Lisa loves John: Our Lives Lately! Happy Monday! This weekend went by fast, but with Downton Abbey back on, Sunday nights aren't quite so bad! And the fun continues with Bachelor Mondays! Whoop whoop for "good" television! Here's a quick recap of what we've been up to lately! 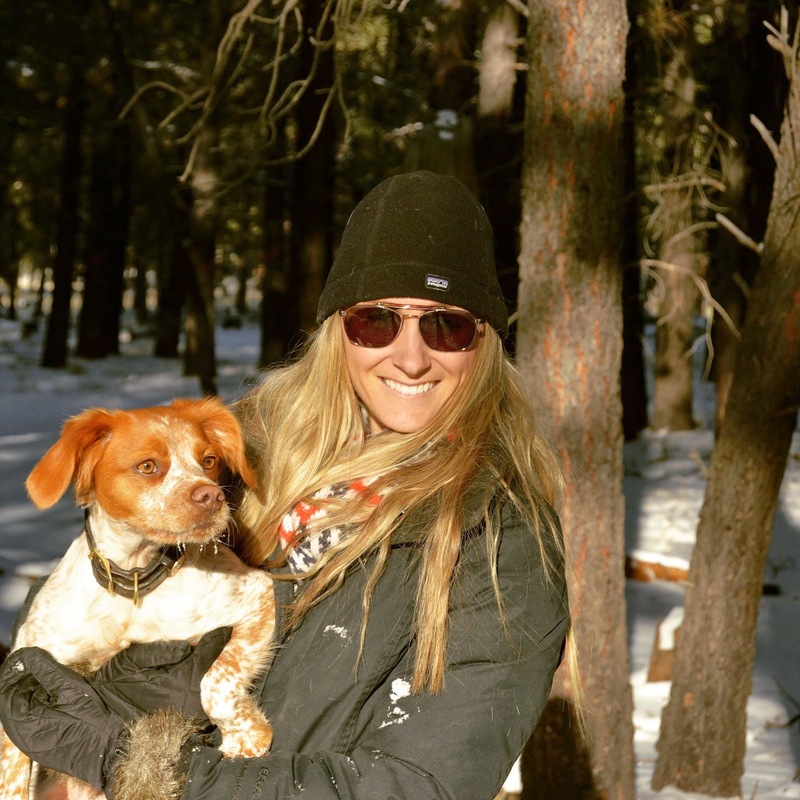 Recently, John and I took Scout for a snowy hike in Flagstaff. That pup loves the snow, and it is so fun to watch her run around. The snow is fun to walk around in, but I'm not going to lie, it is much easier to enjoy it knowing that we can come home to warmer weather! I seriously cannot get over how beautiful the weather has been lately. The summers are unbearable, but now I understand why so many people think it is worth it - come December it's a beautiful, long-term fall! 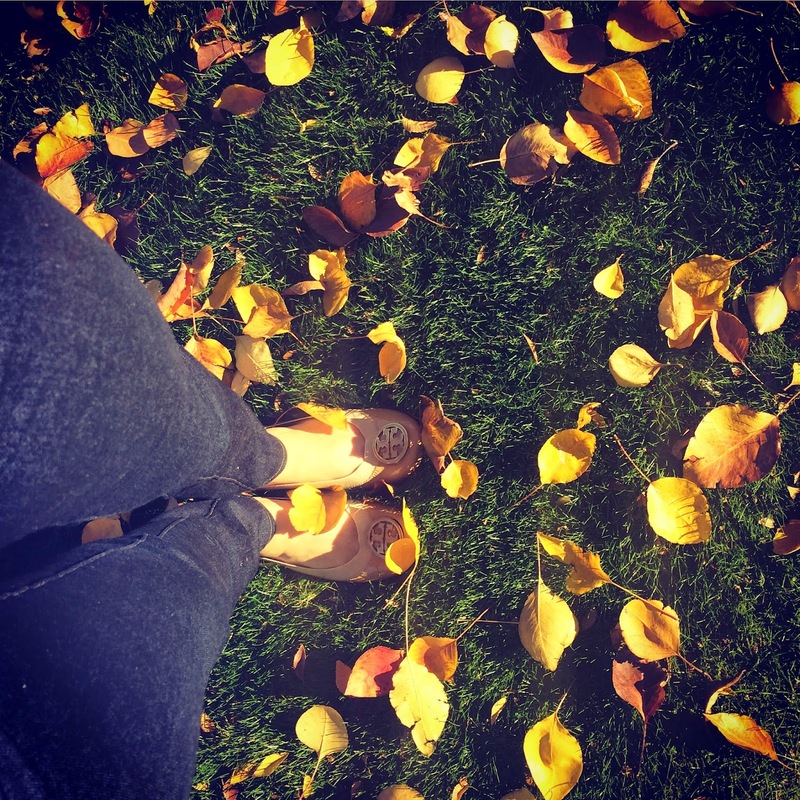 The leaves change colors and fall... and I've really been enjoying it! 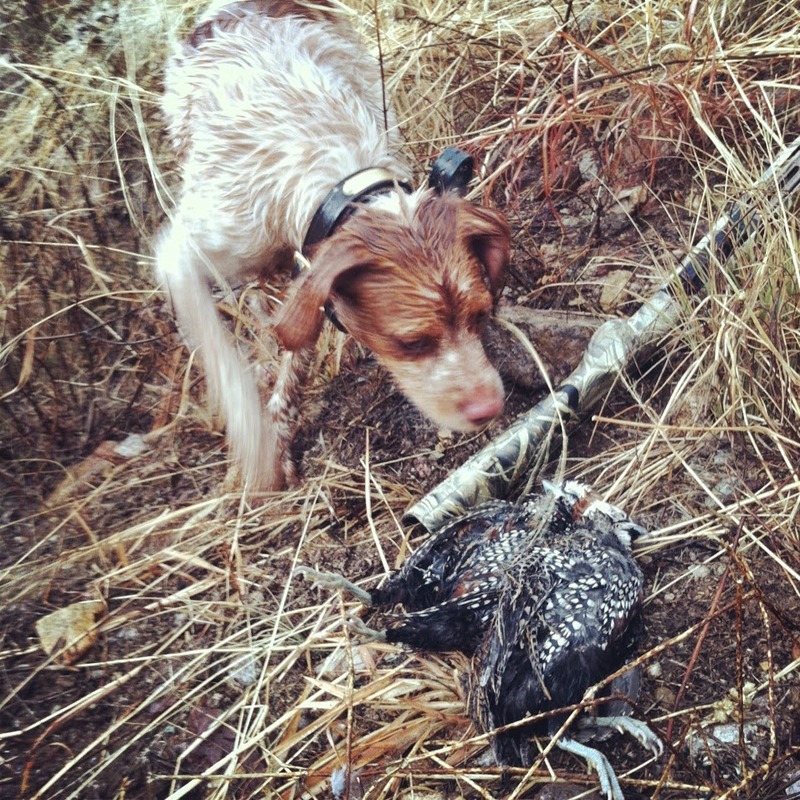 John and Scout went hunting for Mearns Quail in the Santa Rita Mountains near Patagonia, AZ. It's pretty cool that he is able to drive a few hours and hunt these birds because people pay quite a bit of money to travel here for a guided hunt. They had a blast and both were exhausted when they got home! And while the hubby's away, the wife will... craft! 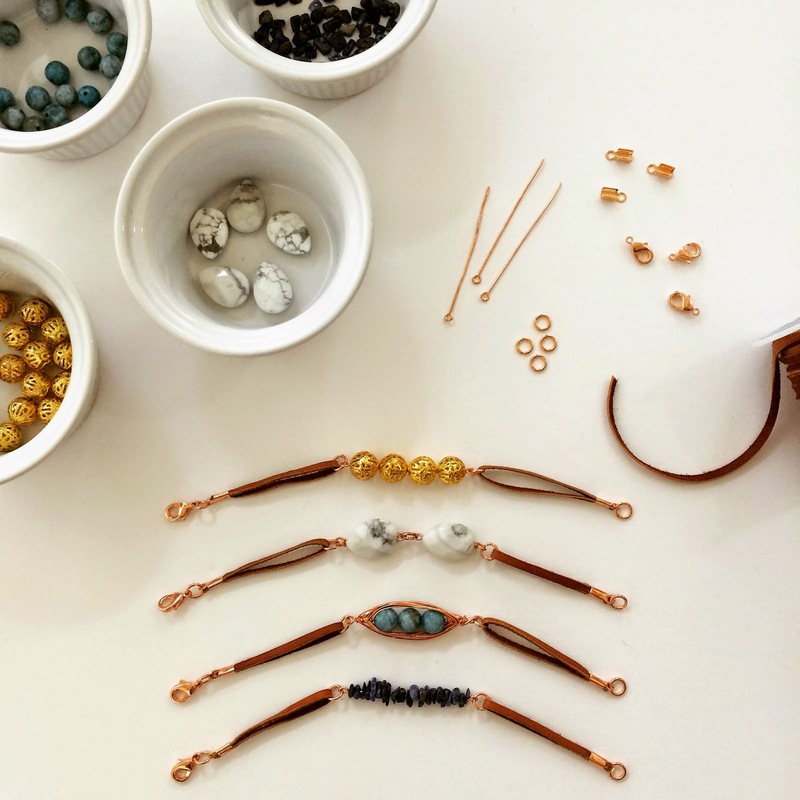 When I was growing up, I would always have a great time staying up super late making jewelry (party animal, I know!). Since John was out of town hunting with Scout, I thought I would repeat the fun and stay up late making some stackable bracelets. And I absolutely love how they turned out! Super easy and inexpensive! DIY coming soon! Scout is just too cute! Our pups love snow too...I'm hoping we get some soon. Oh would I love those tempts your experiencing. Scout is precious and I love the jewelry you made. Enjoy the warm weather! It's a chilly 11 degrees back in Michigan! You take such BEAUTIFUL photos-great eye for detail! And, I'm happy I'm not the only one who find husband-free time to be a tad more productive-those bracelets are so sweet! Have a wonderful Monday! I love the bracelets you made - they're fantastic! Dogs and snow were pretty much meant for each other. I absolutely love watching my pup enjoy the snow. Um, how much for that gold bead bracelet?? :) That pic of Scout running is too cute! Glad you're enjoying it there, my cousin was posting weather pics and making me a tad jealous haha. Arizona is a pretty special place. Those pictures you snapped this weekend are beautiful! I want all those bracelets. So pretty! You need an Etsy shop, girl. Your weather?! That is insane and so lovely! It looks like y'all have been having lots of fun! So cute! I'm that lady who stays up late Friday night crafting, too! So funny! 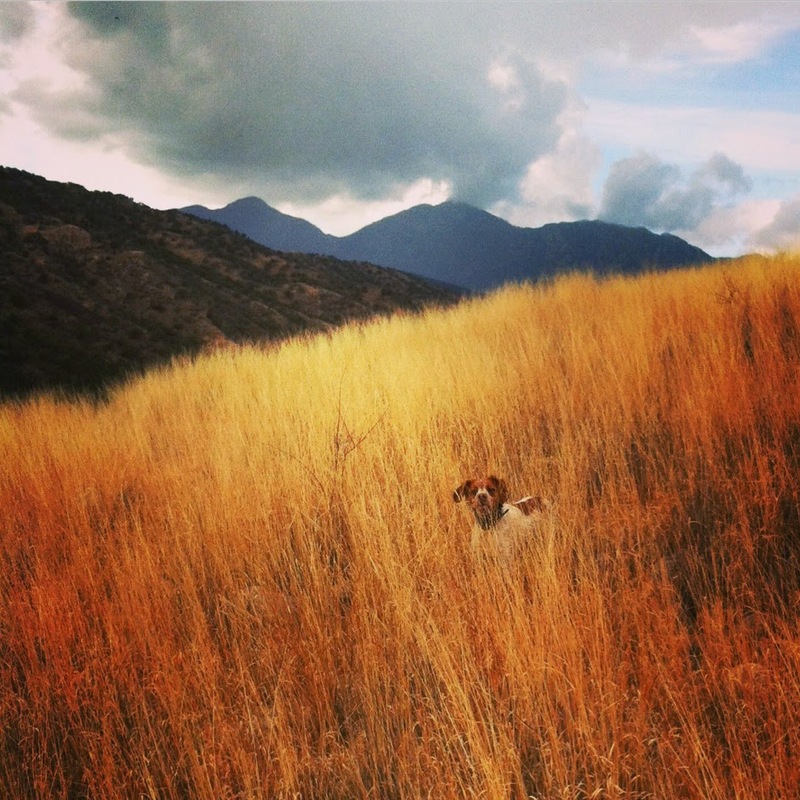 Love the pictures of your Southwest travels and landscape! Can't wait to go next month!!! Eeeeee!!! Oh my gosh that weather just makes me wonder why I still live here!! Haha. Love that picture of Scout running with the mountains in the background, you should totally frame it! Those bracelets are so cute too. And I hear ya on the "party animal" thing. I was in my pajamas by 5 pm last night lol. Hope that you're having a good day today too! 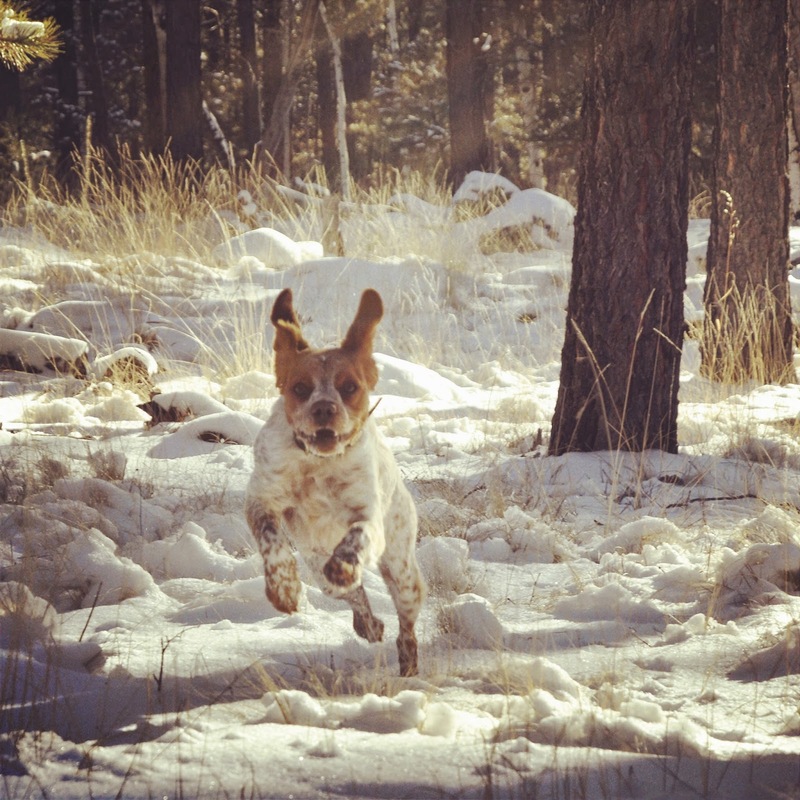 Such an amazing action shot of Scout! It's a framer ;) Can't wait for your DIY! Those bracelets are cute! And I just love watching dogs run and play in the snow! They are so darn adorable! So jealous that you're enjoying such beautiful weather! Its been below zero here in Illinois and I'm so over it! Lol! Love the bracelets, so cute!! WOW! You have been all over Arizona. You get out more than I do lol! I love the Patagonia area it is so pretty. If you ever get a chance try and check out all the wineries down in the Sonoita. Go during the spring or early fall when its green and grassy. It is gorgeous and doesn't even seem like Arizona. Your pup is adorable, what a fun filled weekend! So jealous of your weather! My dog loves the snow too and it is not as much fun when the temps are in the negatives! Crazy thing. Cute jewelry too girl! 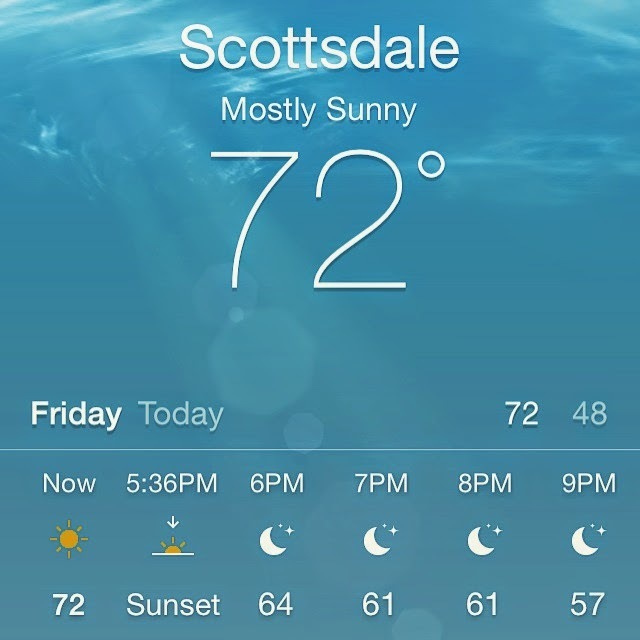 Arizona is such a versatile weather state...drive a few hours and have it all! :) Your bracelets are adorable! Beautiful bracelets! It's so cool to live somewhere, where you can easily experience such different temperatures! Gorgeous pictures as always! I'm jealous of your weather right now...Michigan is just too cold! Those bracelets you made are so cute--love them! Those first two pictures are too good! They look like they should be in a magazine!